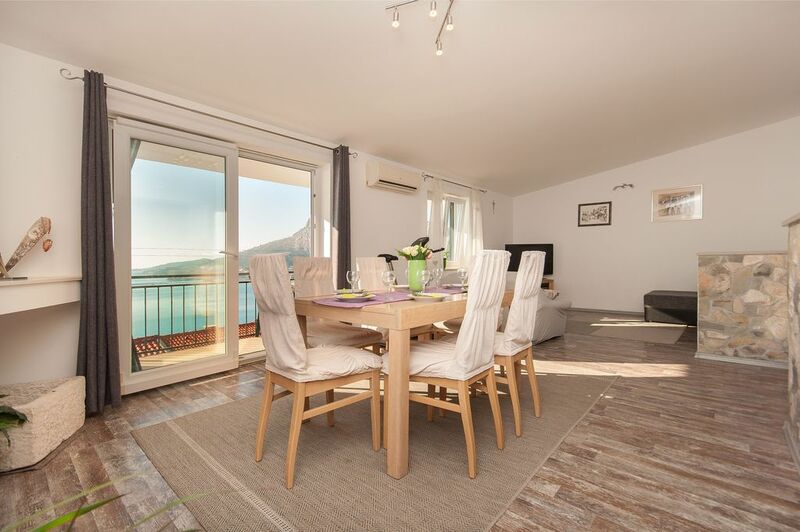 The recently renovated apartment in the attic of the family house, with beautiful views of the sea. It consists of three bedrooms, two bathrooms, kitchen, dining room and terrace. Location of the house is private parking for three cars. 50 meters from the house is a playground. The apartment is located a hundred meters from the sea and pebble beach. The center of town can go on foot because the distance just ten minutes. Das Apartment erhält 5 von 5 Sternen. Ein wirklich sehr schön eingerichtete Wohnung mit sehr schön eingerichteten Räumen und Zimmern. Vorallem der große Balkon und die noch größere Terrasse mit Blick aufs Meer. Einfach traumhaft.